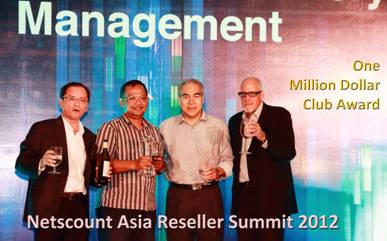 The award was presented at the Netscout Asia Reseller Summit held on 12 May 2012 in Indonesia. This is a recognition of Packet Systems achievements during the year and their considerable contribution towards sales of Netscout technology. Congratulations to Packet Systems Indonesia.